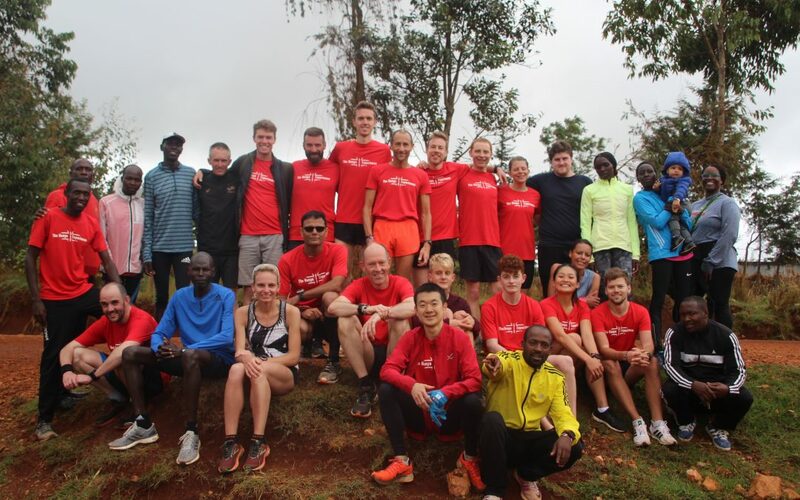 The Kenya Experience Running Camp December 2018 saw 22 guests from all over the world descend on the small rural village of Iten Kenya for two weeks of fun and hard training. With runners from as far afield as Canada, Australia, India, Malaysia and across various European Nationals, we were a truly diverse group. Most attended by themselves, but we also had a father son combination in Niall and Barry from Ireland as well as brothers Liam & Deklen from Australia and Husband Wife team of Nick and Cherbrale from the USA who were joining us for the second time (this time with a new addition to their family also in tow) With varying ages, abilities and preferred running distances there was a lot of variation within the group but one thing they all had in common was their motivation, enthusiasm and determination to learn & improve. Some early arrivers had the opportunity to jog on the Sunday after arriving, but for most the first run of the camp was early Monday morning. 30-40 minutes of very easy running was all that was required. Nothing out of the ordinary you might think, but even if the running itself was quite normal this morning the culture shock of sharing the trails with hundreds of other runners was immediately apparently. From that perspective it was a case of being thrown in at the deep end! Kenya Experience staff Songok, Hugo, Collins, Callum plus our local guide runners all joined in the run to show guests some nice routes and to ensure they kept the pace very easy. As usual, nearly everyone remarked how different it was to running at home, the hills, the altitude, the warm climate and the many other runners. Our group were reminded that the breathlessness due to altitude was completely normal and that it would become easier after a few days of acclimatisation! 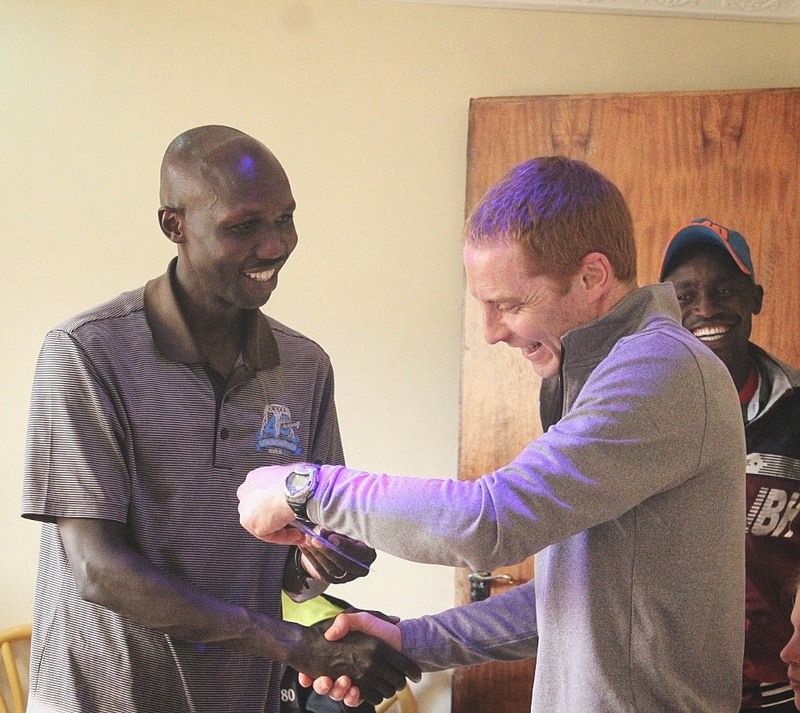 Coach Hugo was also keen to impart his key advice for the first few days of an altitude camp in Kenya, that you can do more harm than good by trying to push; Patience now will pay dividends in the long run. Camp itineraries had been handed out at the introduction meeting and the whole team throw themselves headfirst with great enthusiasm into the busy schedule of coaching seminars, practical sessions and of course the runs themselves. 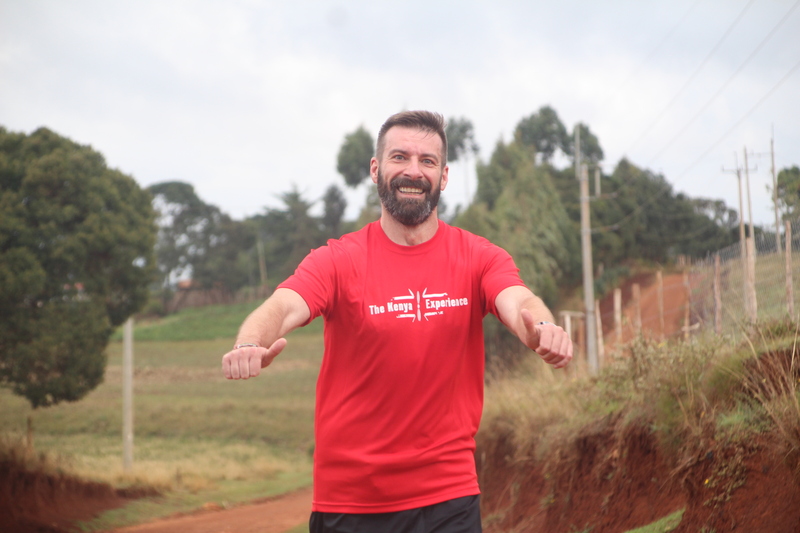 It was also important that everyone adapted quickly to affectionately named “Kenyan time” – Something which is hard to comprehend if you are unfamiliar with this part of the world but which is a standard part of the culture here in Kenyan highlands of Iten. Lifestyle and timekeeping is simply more relaxed in Kenya than in the likes of the UK and this is something you need to embrace if you are to make the most of your training in Kenya. As always our Head of Guest Relations Willy Songok is on hand to ease people through any cultural adaptations and his wise words “There are no such things as problems here, just some unusual situations” quickly became somewhat of a lighthearted and amusing mantra for the group. First we did a warm up jog of 15 minutes up the road which goes past Wilson Kipsang’s Keellu Hotel and gathered at the bottom of a short hill near the back of the famous Kamariny Stadium (Which remains closed for long term renovation). Hugo took the group through a few dynamic stretching exercises and some drills – something that most of the guests were used to. However, what they weren’t expecting were the 3 x 10 second hill sprints which followed! Sprints like this before a workout was a new concept and Hugo was careful to explain his philosophy and reasoning rather than simply dictating and expecting people to follow. We are fortunate to have a Head Coach such as Hugo who not only provides a great training program but also ensures that our runners understand why they are doing something and how it will help them. Everyone was on board and remarked afterwards that they felt surprisingly good after the hill sprints. Many said they would continue to use these as part of their training back home. This is another key aspect of our approach at The Kenya Experience, we want your time with us to help you in the long term, not just these two weeks in Kenya. The session marked the beginning of the “time to train hard” phase of the 2 week camp. Following that session word got around that Wilson Kipsang was organising a ½ marathon race down the valley the weekend approaching. Some of the guests wanted to go and watch whilst Rahul & Tadaaki bravely decided to take part. Despite the heat and the gruelling combination of steep hills and altitude both completed the race and afterwards they agreed that it was the hardest race they had ever done. Support from the locals was fantastic and of course the respect they earned from their fellow camp mates was big confidence boost for them. Incredibly, Rahul was accompanied for the final 11km by a young girl called Beatrice from the local village. She encouraged him the whole way to make sure he finished the race. 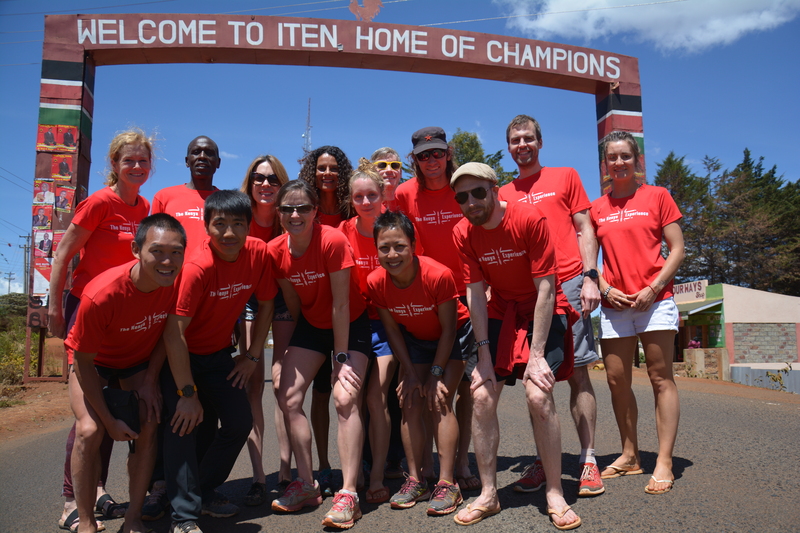 That is the magic of Iten! Meanwhile almost 200km to the South other guests were enjoying something completely different taking in a safari at Lake Nakuru National Park. It is a long day, requiring a very early morning departure but it is a great day out if you want to combine a small dose of wildlife and game drives whilst you are in Kenya with a different overall focus (running!) Rhinos, zebra, monkeys and much more were observed in all their beautiful splendour. Unfortunately Nakuru’s lions remained elusive but that is the nature of a Safari and it was a great day out in any case. Another week of training got underway with an easy run on the Monday followed by a track session on the Tuesday. Heavy rain on the Monday evening meant that the dirt tracks were out of action on Tuesday morning, but by no means did this dampen the team’s spirits (pardon the pun!). Kenya Experience guests all have access to the all weather modern track so that is where we headed ready for an interval session. With a couple of sessions to choose from Hugo and Collins helped the runners to form appropriate sub groups and choose the right workout for them. Most did between 12 and 16 x 400m reps with another session of longer 1000m intervals also available. Another successful session was in the bag and everyone was pleased with how they ran. It was a great help to have our guide/pacemakers there for support and motivation as well as to give our runners a genuine experience of running alongside elite Kenyan runners – a great team effort! The Kenya Experience is all about the people, and Thursday of week 2 really drove this home. After a great morning joining in the Fartlek with hundreds of local runners, the afternoon saw us venture to Midlands Café owned by Kolly, a local business women who is the girlfriend of Swiss superstar Julien Wanders. We were treated to some delicious mango and beetroot juice and chatted with Julien who at just 22years old is the European 10k record holder – a record he took off the hands of a certain Mo Farah no less! Julien was a wonderful host telling sharing his unique story with our team. 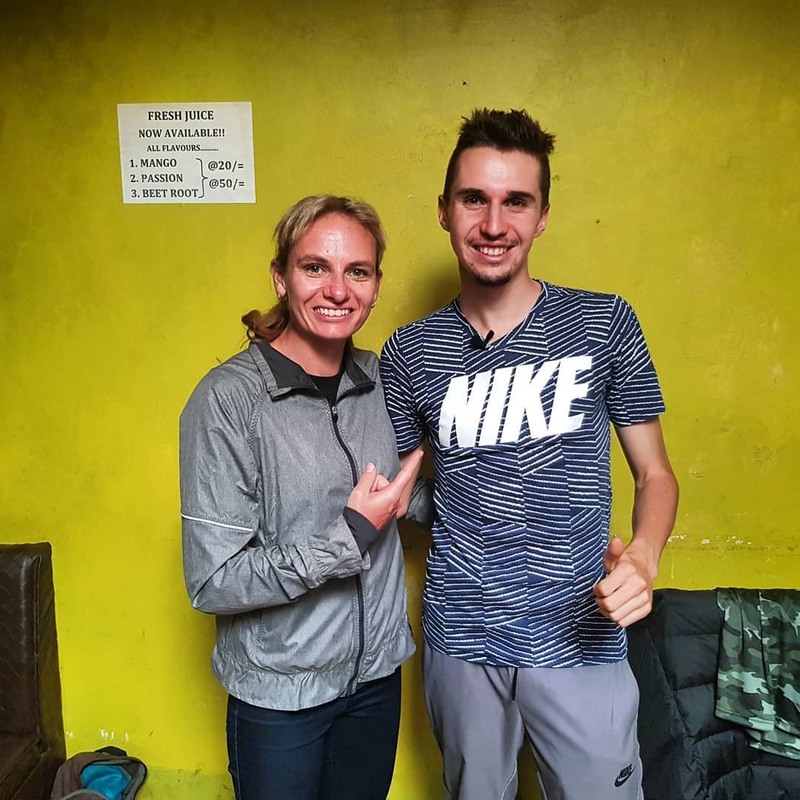 Julien explained why he chose to come to Kenya to train at a young age, what his training is like, his races, his training set up and much more. Julien smiled the whole afternoon, signed items and stood for photos with each guest. It was quite an experience for our runners to meet a champion who is so humble and down to earth. Speaking of humble and down to earth Champions we headed directly from Midlands Cafe to From the Keelu Resort Centre to meet multiple World Marathon Majors winner & former world marathon record holder Wilson Kipsang. 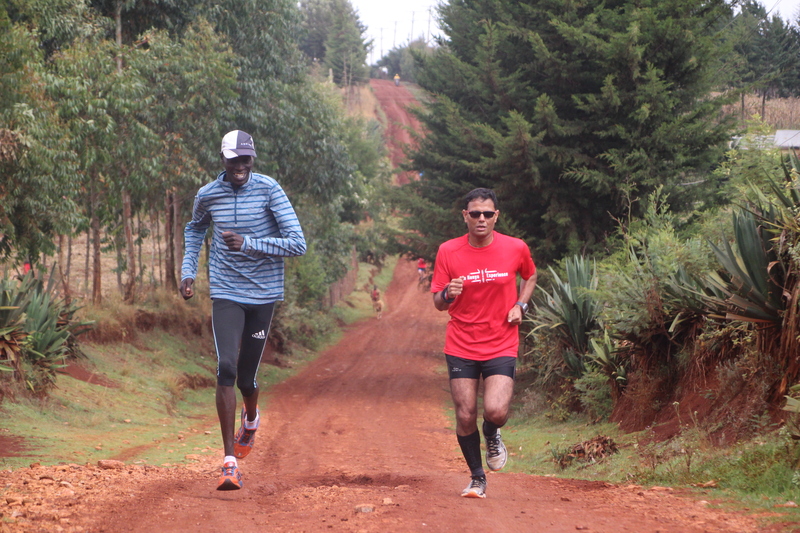 Wilson spoke to us about his career, what it’s like to be a pro athlete in Iten and how he juggles his various commitments including running, work, politics, and family life. He also signed a photo personally to Niall as it was his 50th birthday that day, an unforgettable day to cap an unforgettable trip.